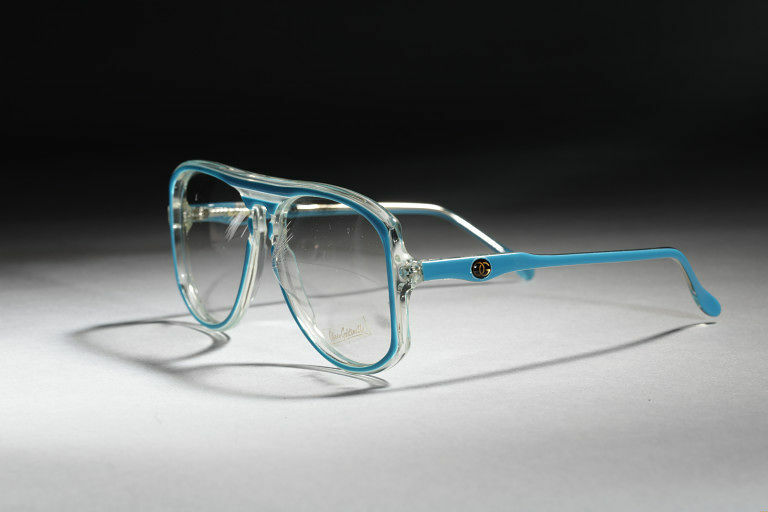 A. Oliver Goldsmith created this glasses frame in the mid-1980s. Philip Oliver Goldsmith, a salesman for a small optical firm, founded the Oliver Goldsmith eyewear company in London in 1926. In 1935 his son Charles Goldsmith entered the firm with the aim of making glasses a fashion item. From the company’s offices in Poland Street, his sons A. Oliver and Ray Goldsmith built upon the company’s reputation for attention-grabbing designs and solicited celebrity endorsement for their products. Key clients included Lord Snowdon, the actress Diana Dors, and Princess Grace of Monaco. Diana, Princess of Wales wore this style but in white and she chose it from a selection sent to her by Oliver Goldsmith. At the time Oliver Goldsmith were not allowed to say that they made sunglasses for the Princess. But the company did receive much indirect press because she was often photographed wearing Oliver Goldsmith designs. They were her main supplier of sunglasses from just before her engagement to Prince Charles, until her death. This design demonstrates the larger-sized frames and interest in vibrant colour typical of eyewear of this period. 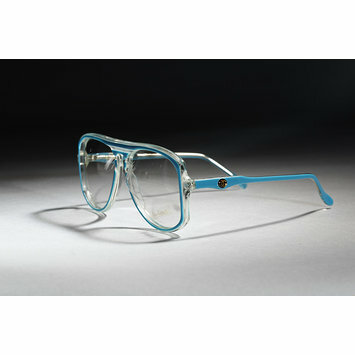 Blue and clear acetate framed glasses with slightly rounded eyes and thin sides. These glasses form part of a design archive of the British eyewear company Oliver Goldsmith. The archive, which consists of approximately 70 glasses frames from the 1930s to the late 1980s, was donated by A. Oliver Goldsmith, grandson of the founder, and former chief designer at the firm. A. Oliver Goldsmith donated the material to the V & A in memory of his father Charles Goldsmith.